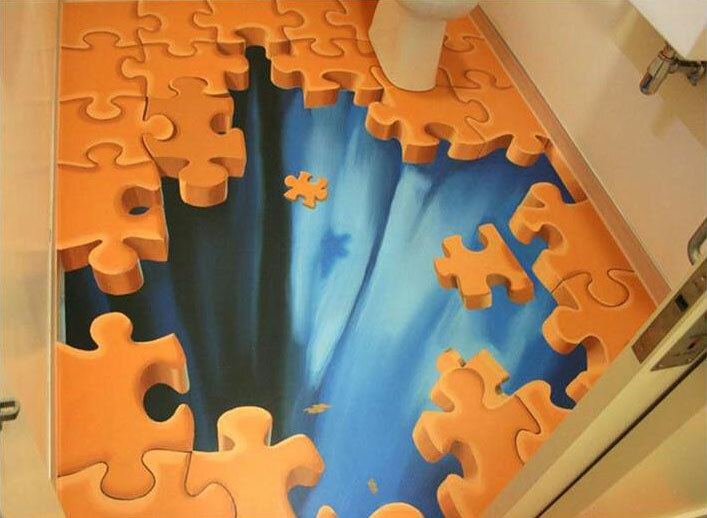 Pavement art moves indoors. 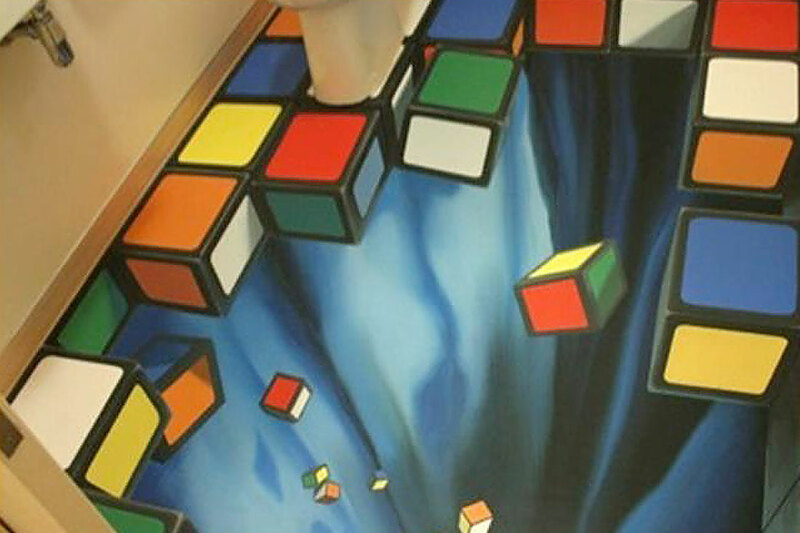 A floor illusion by Marc creates an iconic, engaging spectacle sure to delight visitors. 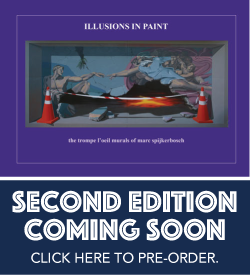 Enjoy the magic of turning concrete into timber, or marble, or granite… and to really get some attention, let’s add a 3rd dimension … because people love to be tricked. With modern paint systems, you can control the longevity of the artwork to suit any situation. 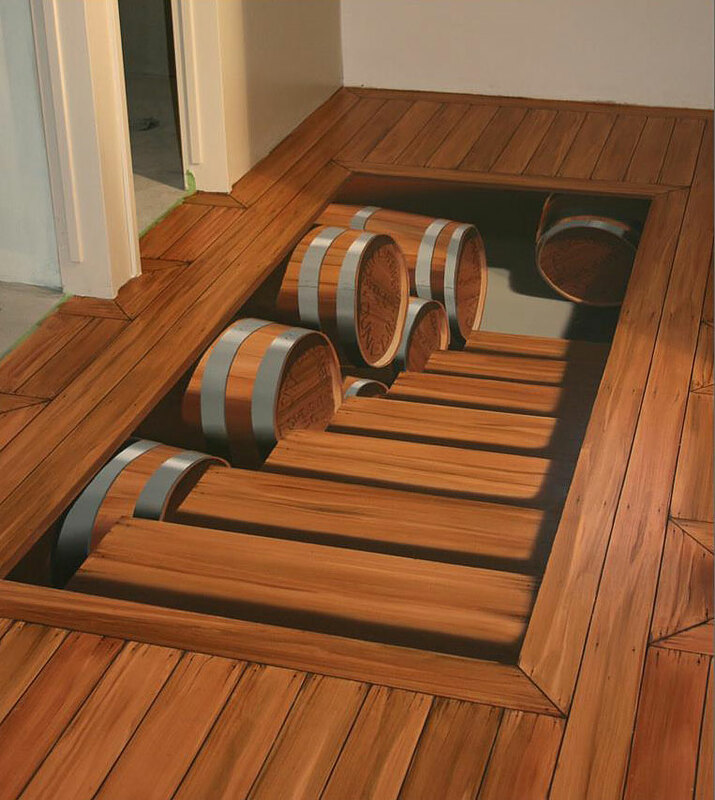 Whether it be an event (re-usable), a short-term guerrilla marketing campaign, or a permanent site-specific illusion to enjoy for years to come.